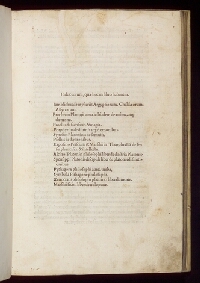 Epitomae in Trogi Pompeii historias was authored by Marcus Junianus Justinus, a Roman historian (fl. 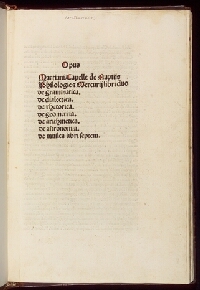 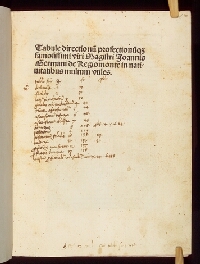 This book is a Latin version of the Gesta Romanorum that dates from the first half of the 14th century. 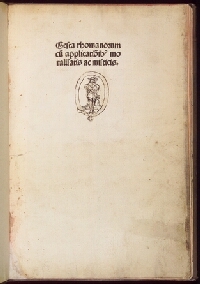 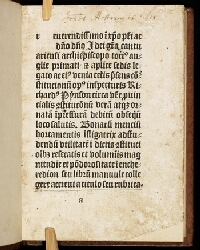 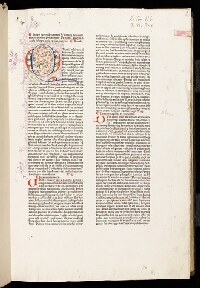 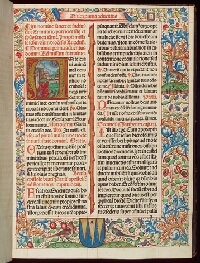 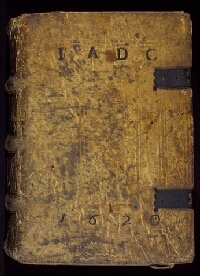 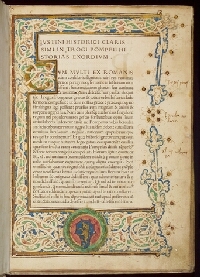 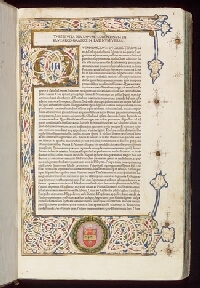 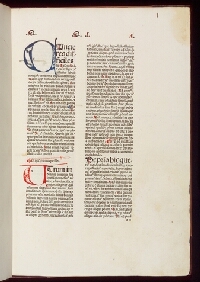 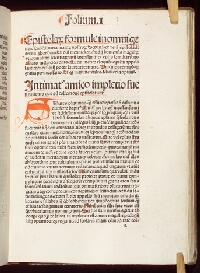 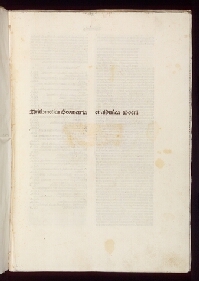 Vincent de Beauvais (Vincentius Bellovacensis) (c.
This is an early printed version of the first systematic collection of canon law, compiled by Gratian in 1140. 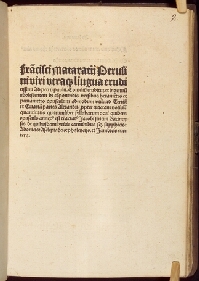 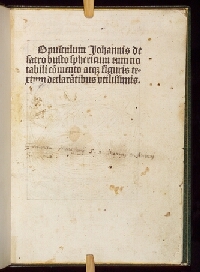 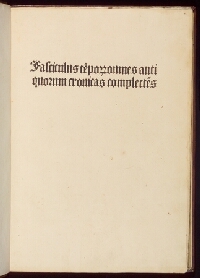 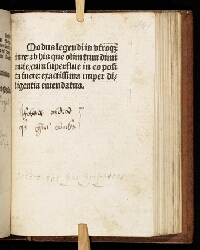 The Tractatus de orthographia is a tract on medieval orthography compiled by Johannes Vivetus (dates unknown). 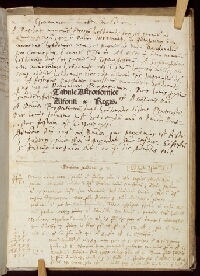 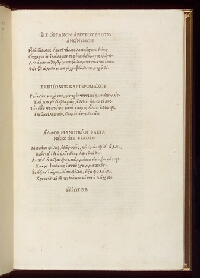 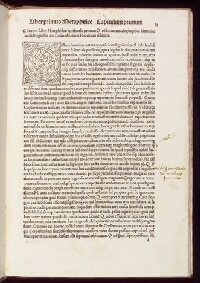 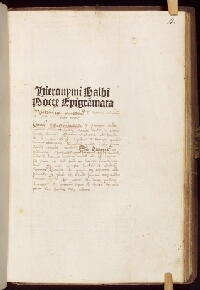 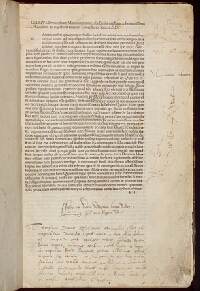 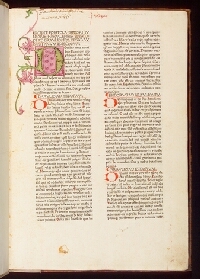 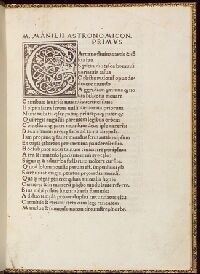 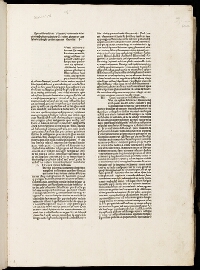 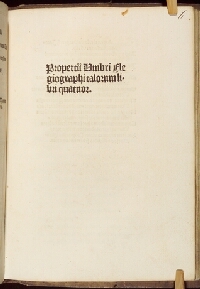 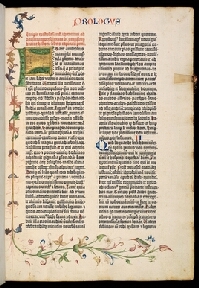 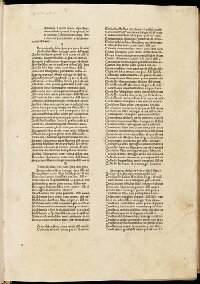 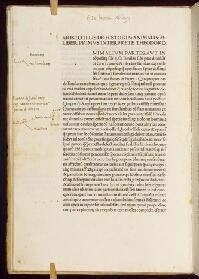 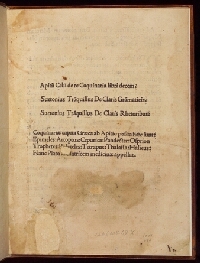 This incunabulum contains the Latin translation of Aristotle's Greek works by Leonardo Aretino Bruni. 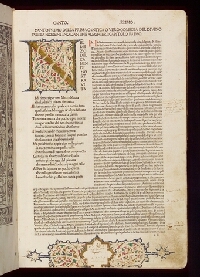 Etymologiae, written by St Isidore (c.
Sacro Bosco was a famous mathematician and astronomer of the 13th century. 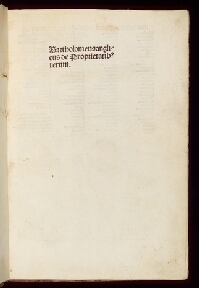 Bartholomaeus Anglicus (Bartholomew the Englishman) (b. before 1203, d. 1272) was a 13th-century English Franciscan. 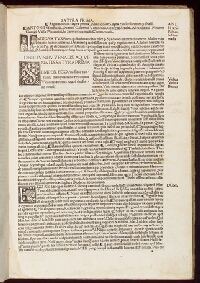 This book is the work of an Italian humanist, Johannes Marchesinus, in the 15th century. 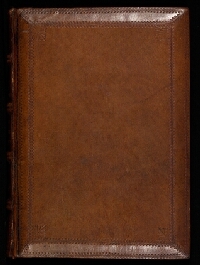 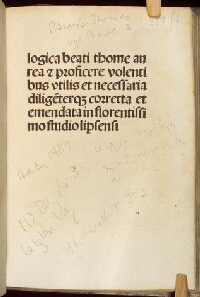 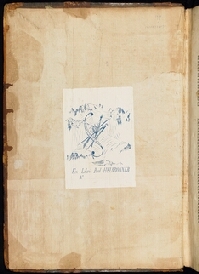 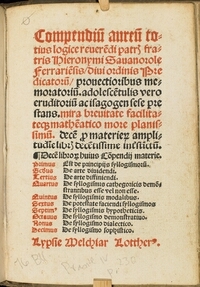 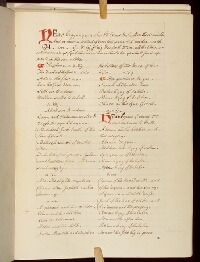 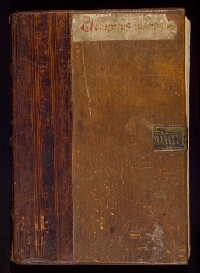 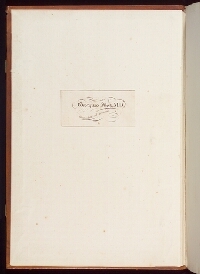 This volume is a Sammelband (bound-set) of three works on logic. 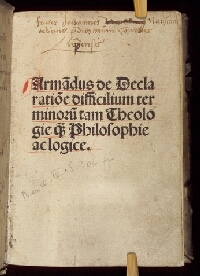 022a Armandus de Bellovisu, De declaratione difficilium terminorum . 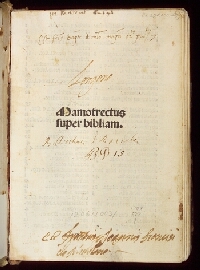 . .
Armandus de Bellovisu (Armand de Belvezer) (d. 1334) was a Dominican friar. 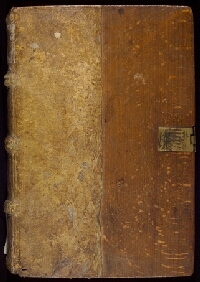 This is a Sammelband of two printed books of practical content. 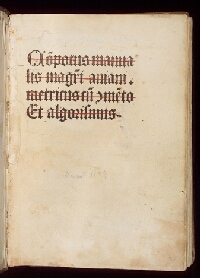 The title of this book, 'Computus', means 'calculation' (especially of time) in Latin. 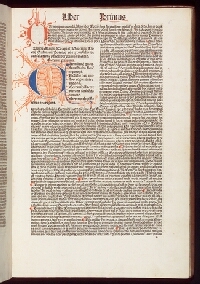 Regiomontanus (1436-76) was an astronomer and mathematician of the fifteenth century born in Königsberg, Germany. 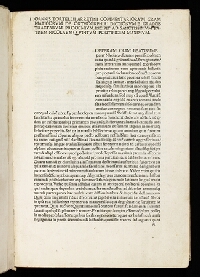 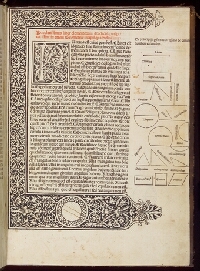 The book Elementa Geometriae is the classic work of geometry written by the Greek mathematician Euclides (c.
This is one of the most famous works by the Italian mathematician Luca Pacioli (sometimes Paccioli). 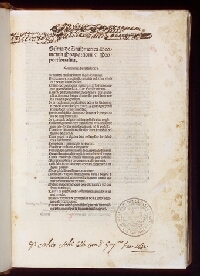 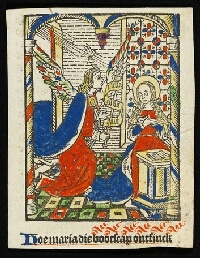 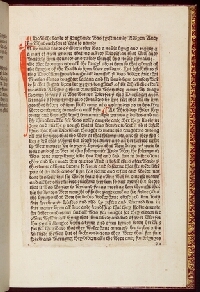 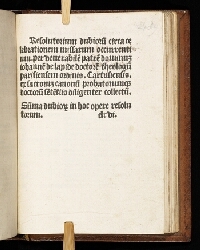 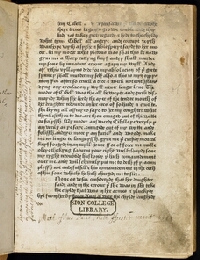 Dating from the end of the 15th century, this text is concerned with Latin verse. 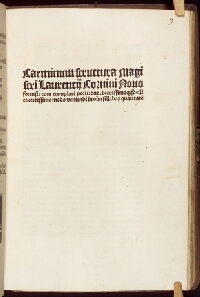 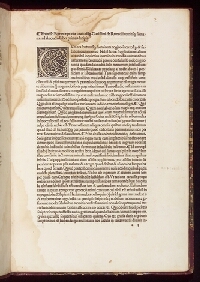 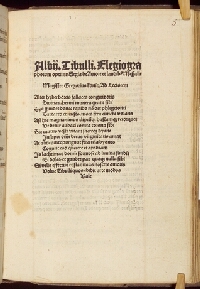 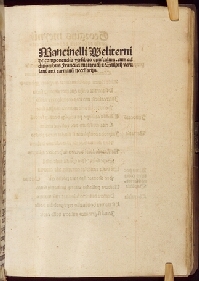 Anicius Manlius Severinus Boethius (c.
Aldus Manutius (Aldo Manuzio, c.
The first printed book in English was in fact printed in Bruges, not in England. 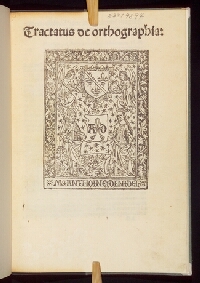 William Caxton (c.
This is a representative work by the English canonist William Lyndwood (c. 1375-1466). 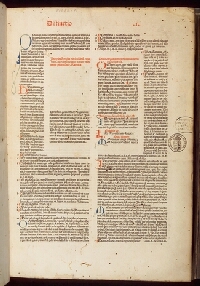 This book provides explanations for the abbreviations used in ecclesiastical and canon law books. 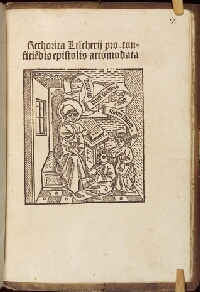 Johannes Heynlin (c. 1492-96) was a German-born humanist and theologian.